We are entering an era where the automotive landscape is shifting towards a sustainable future, leaving behind exhaustive resources such as fossil fuels for renewable resources such as electricity and hydrogen fuels. Major automakers around the world have traced a trajectory towards complete dependence on electricity while phasing out models with internal combustion engines. In light of such a shift, the Dubai Electricity and Water Authority (DEWA) have launched the EV Green Charger Initiative. Dubai Electricity and Water Authority (DEWA) announced in October 2018, the completion of the second phase of its EV Green Charger initiative, which included the installation of an additional 100 EV Green Charger stations for charging electric vehicles across Dubai. With the completion of this phase, the total number of charging stations in Dubai has been doubled from 100 to 200. For the convenience of new EV buyers, DEWA has installed 200 charge points across the city, the locations of which are available on the DEWA website. You can access them by clicking these words or refer to the table below. In addition to this, DEWA is providing free charging for electric vehicle owners registered in the Green Charger initiative from 1st September 2017 to 31st December 2019, to encourage the public to use electric vehicles in Dubai. Can I install a charging portal at my house? DEWA also allows consumers to install charging outlets at homes. When charging at home, the electricity used is added to the normal DEWA bill at standard residential electricity rates. Customers that use DEWA’s Green Charger stations will be billed on a monthly basis and they can pay using methods of bill payment provided by DEWA. Customers must register and have Green Charger card from DEWA you can register for one on DEWA’s official website. 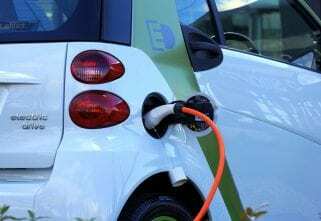 The cost of charging the electric vehicle depends on the capacity of the battery and the use by the driver. Government’s incentive will be exclusively for DEWA public electric vehicle charging stations, and not residential charging stations. What incentives can I avail for buying an electric vehicle? DEWA worked closely with other government entities to establish the Green Mobility initiative, which is studying incentives to promote electric vehicles and setting targets for electric and hybrid vehicle procurement for Dubai Government entities. 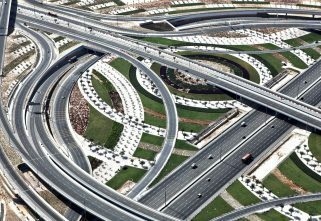 DEWA claims that this has resulted in an initial target for electric or hybrid vehicles for Dubai of 10% by 2030. 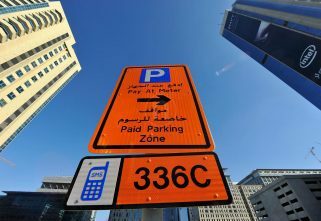 The Dubai RTA also offers free assigned parking, exemption from RTA electric vehicle registration and renewal fees, from Salik’s tag fee, and arranging a special sticker for number plates to electric vehicle owners.